On Monday, Malacañang said that Vice President Leni Robredo and former Ombudsman Conchita Carpio-Marales have “misplaced observations and apprehensions” regarding the memorandum of understanding (MOU) recently signed by the Philippines and China on oil and gas development cooperation. Presidential Spokesperson Salvador Panelo said they may have "not studied nor even read" the memorandum before commenting on the agreement. “They anchor their comments merely on media reports, and not on the actual document itself, which the Palace released to the public only this morning. The two ladies therefore may have not studied nor even read the Memorandum of Understanding on Cooperation on Oil and Gas Development prior to their manifesting their misplaced observations and apprehensions, not to mention the unkind accusations,” Panelo said. “Sadly, disappointment comes to mind as expectations for their being trained in the law have not been reached. Legal minds are not only analytically exacting but judicious as well,” he added. Recently, Robredo urged the current administration to be transparent regarding the bilateral agreements signed by President Rodrigo Duterte and China’s President Xi Jinping. “We call on the administration to be transparent with all the bilateral agreements signed yesterday with the People’s Republic of China. The Filipino people should be informed how deals — such as the Memorandum of Understanding on the Belt and Road Initiative, the Infrastructure Cooperation Program, and, most notably, the Memorandum of Understanding on Cooperation on Oil and Gas Development — will benefit our country and serve our national interest,” Robredo said. 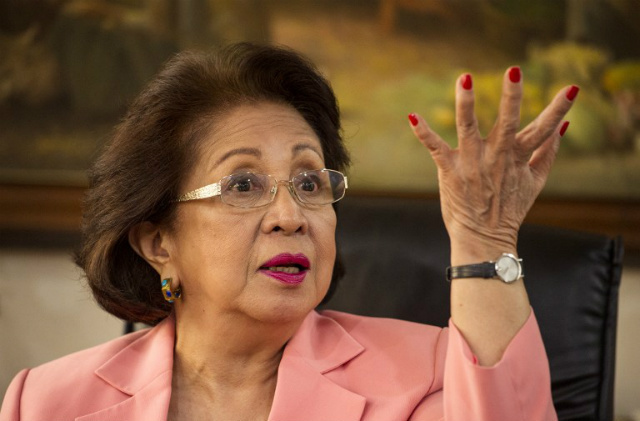 Morales, on the other hand, quoted a famous line from Roman statesman Marcus Cicero on a speech on Saturday regarding the West Philippine Sea dispute. “A nation can survive its fools, and even the ambitious. But it cannot survive treason from within," she said. 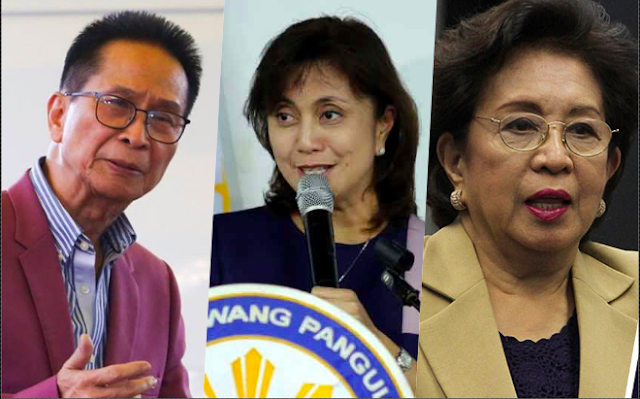 The remarks of Vice President Leni Robredo and former Ombudsman Conchita Carpio-Morales are not only premature but baseless and unfair as well. They anchor their comments merely on media reports, and not on the actual document itself, which the Palace released to the public only this morning. The two ladies therefore may have not studied nor even read the Memorandum of Understanding on Cooperation on Oil and Gas Development prior to their manifesting their misplaced observations and apprehensions, not to mention the unkind accusations. Sadly, disappointment comes to mind as expectations for their being trained in the law have not been reached. Legal minds are not only analytically exacting but judicious as well. As we have repeatedly said, the signed MOU on Cooperation on Oil and Gas Development is only an agreement to agree on certain things. The signed agreement serves only as a framework for a future agreement based on mutual respect on each other’s sovereignty and interest, and certainly benefit for the country. Under the MOU, the two governments agreed to establish an inter-governmental joint steering committee and inter-entrepreneurial working group to look into possible energy cooperation. The MOU does not create rights or obligations under international or domestic law which may delineate our territory or sovereign rights. The apprehensions of Mmes. Robredo and Carpio-Morales are thus more imaginary than real.